Bloomsbury Area Guide - What makes Bloomsbury so great? Where do Bloomsbury locals go? Share your favourite place to go to in Bloomsbury. "Mirrored in the Ministry of Truth in George Orwell's 'Nineteen Eighty-Four', Senate House in Russell Square was the home of the Ministry of Information and only survived bombing in the Second World War because Hitler planned to use it as his British headquarters if he won." With all the shops and restaurants, sometimes you forget that there are some beautiful residential properties around Charlotte Street. I am so happy to call Bloomsbury my home after watching it transform over the past few years from dull and in need of some TLC to buzzing and homely. The diversity of people that live in the area really adds to the nice atmosphere. I appreciate how i can be right in the centre of one of the most exciting cities in the world, yet turn off a main road in to a quiet and well tended to street, for example Lambs Conduit Street, which is filled with lovely little boutique shops and friendly coffee shops. Not only this but the parks in the area are so beautiful, i feel privileged to spend an afternoon just reading and walking my dog in the summer. After being spoiled by what this area has to offer i couldn't imagine living anywhere else. Bloomsbury is self-contained, accessible from different parts of central London. Wide range of restaurants available. An eclectic mix of history, literary associations, and bohemian edge - but all within walking distance of great shops, cafes, museums and theatres. Fantastic transport links make thus the very best London 'village'. Bloomsbury has it all! 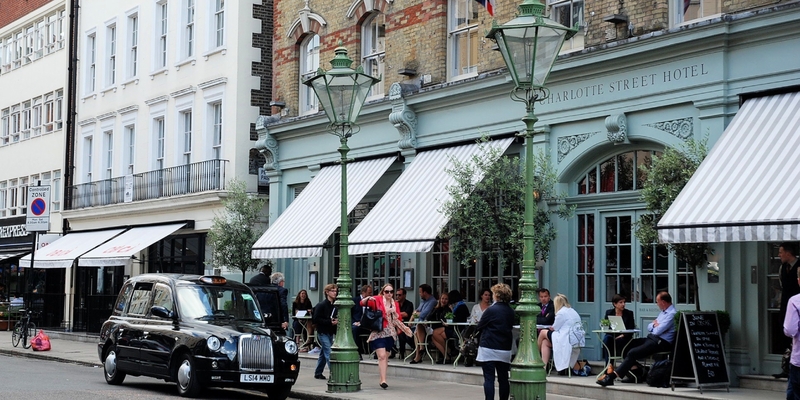 The proximity to central London and yet has a close-knit community feel at the same time. All of Londons' best eateries at your doorstep, as well as shopping centres, museums and of course the transport links to take your all over London in no time. Great transport links. Nice good size park around for running. Great access to shops, gyms, restaurants. Safe, clean. What do you think of Bloomsbury? Bloomsbury is an area of central London between Euston Road and Holborn, developed by the Russell family in the 17th and 18th centuries into a fashionable residential area. It is notable for its array of garden squares, literary connections (exemplified by the Bloomsbury Group), and numerous hospitals and academic institutions. While Bloomsbury was not the first area of London to have acquired a formal square, Bloomsbury Square, laid out in 1660 by Thomas Wriothesley, 4th Earl of Southampton as Southampton Square, was the first square to be named as such. Bloomsbury is home to the British Museum, the Royal Academy of Dramatic Art, and the British Medical Association. It is also home to the University of London's Senate House Library, its central departments (including the School of Advanced Study), and several of its colleges (University College London, Birkbeck, London School of Hygiene and Tropical Medicine, School of Pharmacy, School of Oriental and African Studies and the Royal Veterinary College). What are your favourite things about Bloomsbury? Find out how much your flat or house is worth om Bloomsbury. Feedback about living in Bloomsbury has been submitted directly by the public and may not neccessarily reflect the views of Foxtons. The description of Bloomsbury was modified from Wikipedia and is available under the Creative Commons licence. Land Registry data is Crown copyright. All the views and contributions contained within Foxtons Local Life are those of the contributors. All content is assessed before publishing for taste, however free opinion is encouraged. Foxtons accept no payment or sponsorship for content that is posted about Bloomsbury.